The NEACR Fall Program is an annual event which hosts members and non-members, all of whom are either conflict resolution practitioners or those interested in learning more about the industry. The event typically features a theme specific to the dispute resolution field and is highlighted by a key note speech and/or presentation from hand selected dispute resolution leaders. The 2018 NEACR Fall Program was held on Conflict Resolution Day. During this reception, NEACR and the Massachusetts Bar Association honored Frank Sander, a luminary in the field of conflict resolution, by bestowing its inaugural MBA Professor Frank E.A. Sander Award in Dispute Resolution to David A. Hoffman. Hoffman, the founding member of Boston Law Collaborative LLC, has dedicated decades to studying, advocating, practicing, educating, writing, articulating and evolving dispute resolution. A teacher and peacemaker, Hoffman models dispute resolution skills and behaviors for the development of the field. The event also featured special guest Robert Mnookin, professor of law and former chair of the Program on Negotiation at Harvard Law School. As a leading scholar in the field of conflict resolution, Mnookin provided an inside look at dispute resolution today and facilitated a Q&A session. 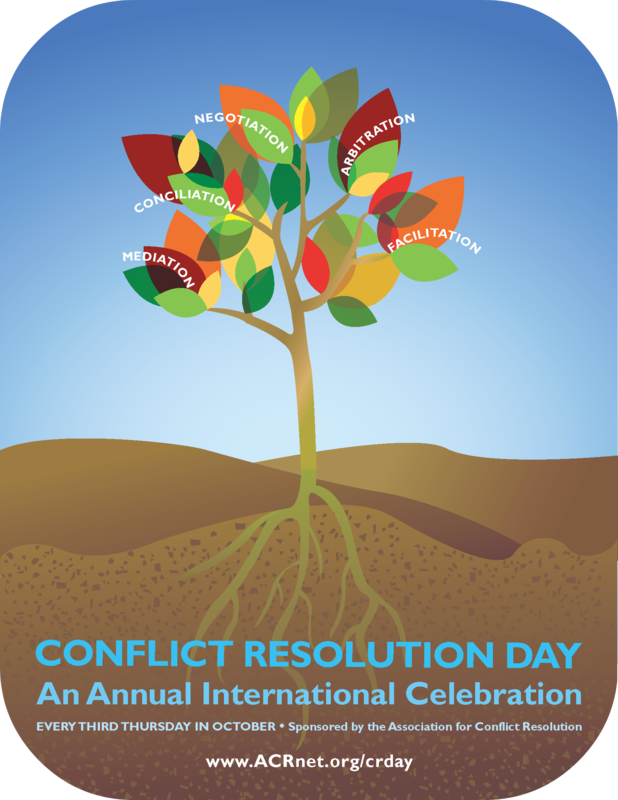 To find out more about Conflict Resolution Day and its history, visit the ACR website at https://acrnet.org/page/ConflictResDay. Interested in catching up on events you've missed? Click here to see a list of Fall Programs that NEACR has hosted in the past.